The only all-in-one social app you will ever need. GreatApps.com, a media company that focuses on app marketing and consumer use of apps is extremely excited to feature The Konnect App on its exclusive app discovery platform. The Konnect app can be viewed on GreatApps.com and can be downloaded for free in the App Store© and available soon in Google Play©. 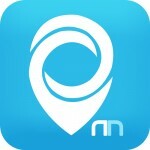 The Konnect App recommends places to visit including different businesses and events. Along with these recommendations the user of the app can get reviews and current deals. Whether it's a restaurant, lounge, club, or concert - there is something for everyone. The app can also inform users of upcoming events as there is a large social aspect as well. Users can also meet with friends or make new friends who are using the app. This also allows others to see if a venue is too crowded or is the place to be for fun. The Konnect App can be used throughout the United States and in larger cities such as New York, Los Angeles, Chicago, Miami - there are different things to choose from for all. Businesses owners will also enjoy The Konnect App since it's a medium to reach existing and new clients. Owners can create events such as live showcase, dining special or simply something that everyone needs to know about. "Our goal from the beginning with The Konnect App was to create something fun and new for regular customers while also helping businesses. We're not like other social events or nightlife platforms, and it's really a point of pride for us to bring something so different and so helpful into the app store. We're definitely not your mother's nightlife app" said Matt Hamilton, CEO of the Konnect App. GreatApps.com has been in business since 2011 as the exclusive app discovery and app review platform. GreatApps.com showcases select apps to people who many have never thought to search for them. The Konnect App on GreatApps.comThe only all-in-one social app you will ever need.